General Management Club (GMC) and Armed Force Association (AFA) would like to invite you to Brunswick's lunch and learn event. Brunswick is on campus to talk about their internship and full-time opportunities. 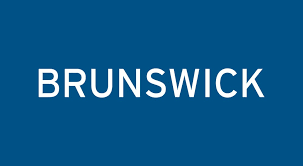 Founded in 1845, Brunswick is a Fortune 600 company with sales of over $4 billion and more than 13,000 employees in 30 countries. Designed to provide an exciting and challenging entry point into general management, Brunswick’s Leadership Development Program puts you in the position to make immediate contributions, while working side-by-side with executive leaders. This accelerated experience for high potential future leaders will develop your leadership skills as well as your strategic and project management expertise, grooming you into a strong leader for our rapidly growing businesses. For more than ten years, MBA graduates have selected our LDP because they saw that it set Brunswick apart from other corporations. The program has a proven track record of successfully developing and placing professionals into crucial leadership positions throughout the enterprise, including many who serve today as Division Presidents, Vice Presidents, Global Directors, and others in senior management. Brunswick has expertly adapted to changing market environments over its 171-year history and has grown its businesses through both industry-shaping acquisitions and internally grown start-ups.